Leave it to Mother Nature to always keep us on our toes. Winter 2017 (January) was one for the record book and while all of our plants were safely tucked away for the season, that didn’t stop nature from showing us what it’s capable of. Our growing area is comprised of 20 greenhouses where all of our shade perennials and a good chunk of our shrubs are held over winter. 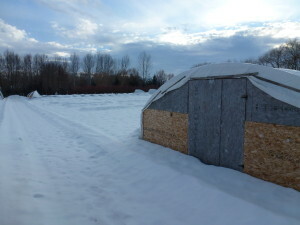 After every storm we’d go out and knock the snow off the greenhouses but in time there was no where left for the snow to go. 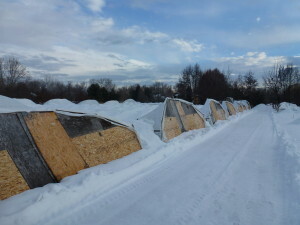 The amount of snowfall was just too much for the greenhouse frames to handle and they buckled. 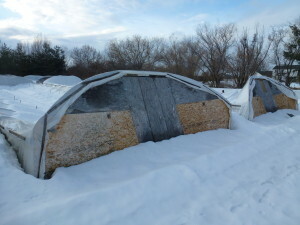 17 of our 20 greenhouses collapsed under the weight of the snow and ice. Luckily our product is hardy and we did not see any winter kill as a result of the collapsed greenhouses. 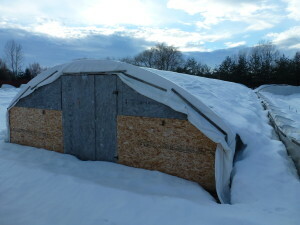 Some of our shrubs needed haircuts this spring because of the weight of the fabric and snow that laid over them, but overall we were fortunate. It’s a good thing we grow Idaho tough crops. Over the last month we’ve been moving what we can out of the greenhouses as we look to re-organize and rebuild. 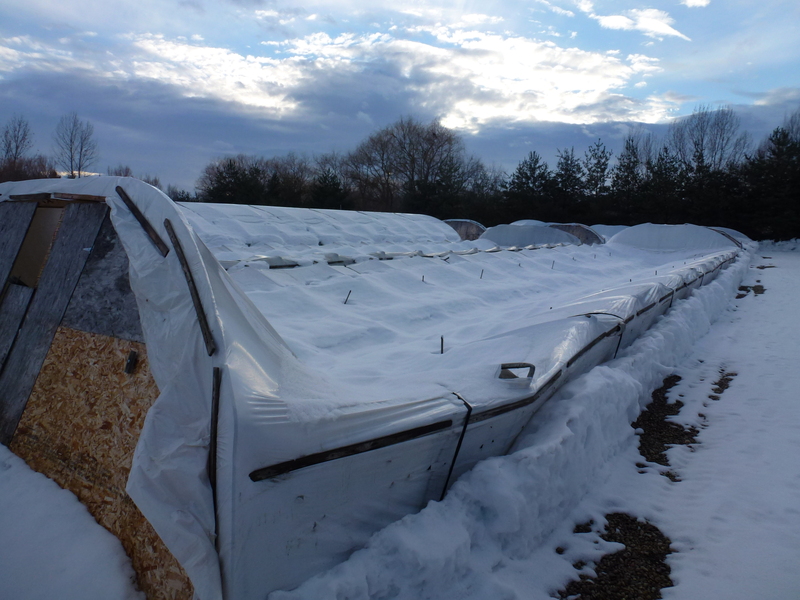 We have a wonderful team that has been able to quickly uncover our perennials and get them out into retail. Our plants are happy to be out and are enjoying the fresh air and sunny days. We’re so glad spring has arrived; here’s to a great 2017 season!